This playing XI may be on the wrong side of 32 years old, but don't even think of messing with them. The Indian Premier League (IPL) 2018 auction took place in January 2018 and franchises showed lots of excitement for the players in the auction. Some teams went for a younger lot of players and invested for future. Some teams, on the other hand, went for experience and picked up many players who have a proven record in the IPL and international level. While some smart buyers went for both experience and young blood in order to prepare a seemingly perfect team for the upcoming season. Therefore seeing the same pattern, we decided to build a team of players who are ‘senior’ citizens in terms of age (over 32 –years-old). These players have done it all on the international level and even in the Indian Premier League. They have the experience and skills that have withstood the test of time. For the openers of the team, none better than West Indian Chris Gayle, who holds almost every batting record in IPL. Gayle has most runs, most centuries, most sixes, and highest score and is possibly the highest impact player we have seen in the IPL ever. Now at the age of 38, Chris Gayle may very possibly feature in the IPL for the final time, playing for Kings XI Punjab in IPL 2018. His partner will be former Kiwi captain Brendon McCullum, who even at the age of 36 is faster and agile than most 18-year-olds. McCullum retired back in 2015, despite having no problems in playing at the highest level. But Baz, as he is affectionately known, has continued to ply his trade in various T20 leagues and even kicked off the IPL in 2008 with a scintillating 158* in the very first match of the tournament. He is followed by twice IPL winning captain Gautam Gambhir, who has been a stalwart in the tournament, first for Delhi Daredevils and then for Kolkata Knight Riders, who he led to IPL titles in 2012 and 2014. Gambhir has been a consistent performer in IPL at the top order and he will helm the no.3 position in this XI as well. Next comes in Yuvraj Singh, perhaps the most destructive player in the T20 format. He has played lots of brilliant innings in the format and is still one of the best big hitters in the tournament. Yuvraj Singh will be seen playing for KXIP, a team that he led in the inaugural IPL season. MS Dhoni will be the wicketkeeper and captain of the old but gold IPL XI. MS Dhoni will be returning to the franchise of which he won the IPL in 2010 and 2011 and led them to the playoffs in every season from 2008-2015. Dhoni has an envious record in the IPL with both bat and the gloves and will be able to lead the seniors in the perfect way possible. Yusuf Pathan will assume the role of the big-hitting finisher for the team at no.6 and will also come in handy as a part-time spinner. Helping him with the finishing duties will be West Indies’ Dwayne Bravo, who is one of the most excellent overall players in the world of cricket. He can bowl brilliantly at the death, bat anywhere in the order and is excellent in the field anywhere. Harbhajan Singh and Amit Mishra will helm the role of spinners in the team. One is a record-breaking off-spinner of world cricket and another is the only bowler to take three hat-tricks in IPL. Both of these spinners will be tough to score runs off in the middle overs. The fast bowling duties will be shared by Australian Mitchell Johnson and India’s experienced campaigner R Vinay Kumar. 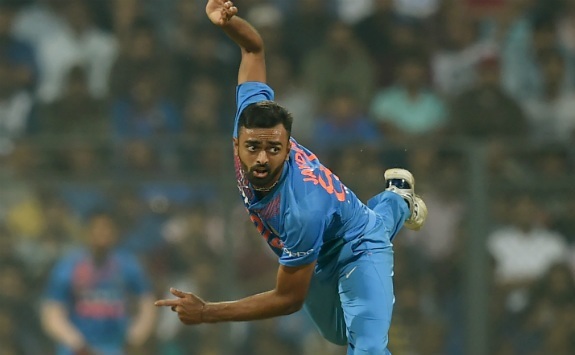 Johnson, despite being retired from international cricket, is still a potent force in T20 format and Vinay Kumar is one of the best thinking bowlers in Indian domestic circuit and has served India well whenever he has got a chance to play. This fantasy XI might features players, who are all above the age of 32, but their cumulative experience in IPL and world cricket surpasses everything and they are potent enough to give the fight to any other team featuring youngsters or experienced players.